This is the story of how a small note in a stamp catalog can lead you down a rabbit hole of reading, research and fact finding that will ultimately lead to the story behind the stamps. The stories behind stamps, whether this Ethiopian issue in 1919 or any issue from any country, is what is, at the end of the day, the fascinating part of this hobby. A little google searching though and I discovered the story behind these reprints and why they came to exist. It all started with a former Ethiopian postmaster, who, was still owed years worth of salary from the Ethiopian government. Jean Adolph Michel, was the Minister of Posts for Ethiopia from 1903 through 1908. 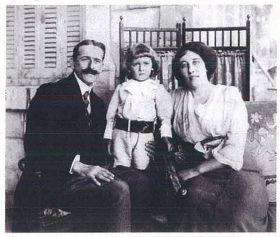 After 1908 he left Ethiopia to return to Europe, but later came back with is wife in 1911. In 1917, Michel made a deal to produce a new set of stamps to replace the issue of 1909 which was currently being overprinted as the result of a change of leadership. 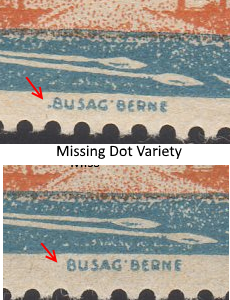 The new series of stamps would be designed and printed by Busag in Berne Switzerland (with help from his brother Fritz). According to a story here, a secret agreement was reached with then, 12 Year Old, Minister of Posts Wassanie Zamanel, who may just be the youngest minister of posts ever at the age of 12! Thanks to a secret agreement with the postmaster, Wassanie Zamanel, aged 12, Michel is granted permission to print this series on behalf of the Ethiopian government and to keep himself on the market Collectors to equal the manufacturing price plus a margin of 10%. It will furthermore keep the plates to reprint these stamps, but only ten full years after the date of issue and if new stamps were issued. 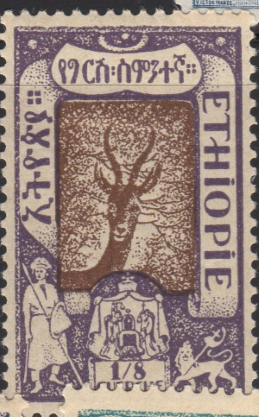 These stamps should not be reintroduced into the Ethiopian market either. Michel also obtains the use of six stamps to date. All these benefits were supposed to compensate for the years of unpaid wages that Michel claimed from the Ethiopian government. 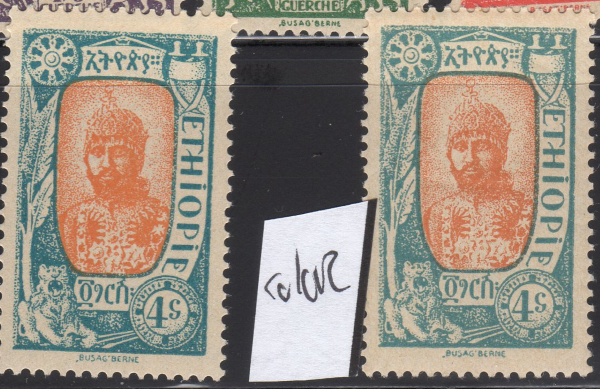 Michel printed the stamps in Switzerland in 1919, sent some of them back to Ethiopia for use as postage and then sold the reset direct to the collector market in Europe. 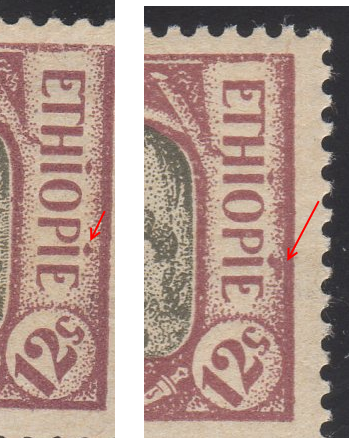 These stamps were used in Ethiopia from 1919 until 1928 when new set of stamps was issued replacing this original 1919 issue. In 1931, Michel then begins reprinting the 1919 issue and sells all of them directly to collectors. Whether this was with the blessing of the Ethiopians or not is in question, but Michel did win a court case against him over the issue. For more, have a look at this article which discusses the story in more detail. In addition to the original versus reprint varieties, there are a few more design varieties I have found in my collection. The above image is of the 6g value of the series. I have noticed this same variety on others as well. This variety or overinking flaw is on the 12s value from the series. Finally, you can read a bit more on Michel here (PDF). Hey Keijo – Yep I’m back at it again now that winter is set in. This is a cool story eh? Plus…A 12 Year old running the Postal Service? – Must be a record.